Festivals of Telangana state describes the Telangana culture and interest of Different Religions. We know that India is mixed with different Religions, Caste, and languages. In Telangana, different religions festivals are conducted by Telangana Government which gives equal importance to All Religious Festivals. 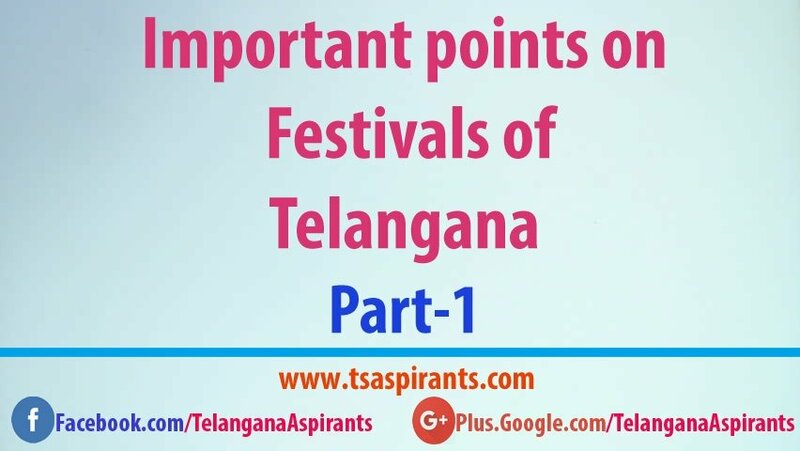 In this post am giving notes on “Important points on Festivals of Telangana State Part-2“. Please Refer this post Telangana State Festivals, In which we discussed notes on Festivals of Telangana part-1. will be useful for job aspirants, who are preparing for Groups, Tspsc exams, AEE’s and Police jobs in Telangana state. 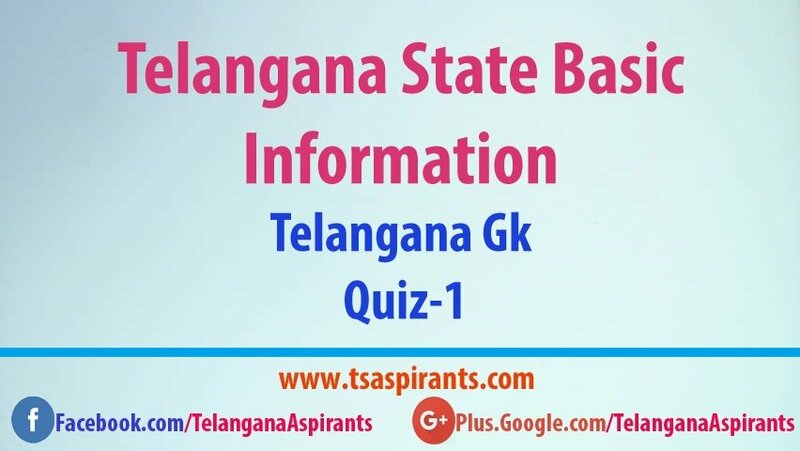 This notes will definitely help you get a perfect score in the Telangana(TSPSC) exams. There’s only one thing to say while describing festivals of Telangana state, “its festival of different cultures, traditions, and vibrant colors”. Whether it is Hindu festivals such as Bathukamma, Dussehra, Sankranti and other religious festivals such as Ramzan, Moharram, Good Friday and Christmas, there will be vibrant colorful activities and the best thing is there will be diversity. Did you know that the Sammakka Saralamma Jathara is the second largest tribal festival around the world celebrated for every two years and it takes place in a village called Medaram district located in Telangana State. The main reason to celebrate this Jathara is about honoring the Goddess of Sammakka and Saralamma who were the mother and daughter died during an epic fight. The festival begins during the Magha month on Full moon day (Sudha Pournami), on this evening Saralamma goddess (Gaddhe) will be brought from Kanneboyinapalle village later the Sammakka Gaddhe will be brought from Chilukalagutta village. Telangana Bathukamma festival celebrated during half monsoon before the onset of winter. Usually in September/Octobers monsoon rains comes with plenty of water in lakes and rivers in Telangana. This is also a perfect time for flowers bloom in different exotic colors. For Nine days of Bathukamma festival celebrations in evening times, women’s and young girls dress colorfully in Telangana traditional manners and gathered in local open areas with their bathukamma’s and places their bathukamma’s in center of the ground. All women’s and young girls form as a circle around bathukamma’s and start singing Bathukamma songs by clapping their hands in a rhythmic manner and revolves around the bathukamma’s. This circle formation gives splendorous traditional looks to Bathukamma festival. The flowers which are used in arranging Bathukamma have a great quality of Healing and cleaning the water in lakes and rivers. This is the main reason for the celebration of Bathukamma festival which helps the environment to heal itself. Both Bonalu and Bathukamma festivals are celebrated by Women’s only. Bonalu is a traditional women’s festival celebrated during Ashada Masam season that usually falls in July/August months in which women worships the Goddess Mahakali by performing special poojas. Basically, Bonalu festival is celebrated by women’s as a form of thanksgiving to the Goddess Mahakali after the fulfillment of their wishes or vows. On this day women’s prepares a Brass pot filled with cooked rice with Milk and Jaggery, and the pot is prepared with Neem leaves, Vermillion, and turmeric. The complete preparation in a brass pot called as “Bonam”, women carry these Bonam’s on their head with offering bangles and saree to the Goddess Mahakali various forms such as pochamma, Mysamma, Dokkalamma, Yellamma, Poleramma, Pedamma, Maremma, Ankalamma, and Nookalamma. We as Telugu people know Dussehra festival with other names such as Vijayadashami or Navaratri celebrations, actually this festival is celebrated throughout the country with various rituals and traditions. As we know during celebration of Dussehra festival we worship Goddess Durga in different forms such as Kali, Bala Tripura Sundari, Lakshmi, Kanaka Durga, Annapurna, Mahishasura Mardhini, Raja Rajeshwari, Kanaka Durga, Saraswati and Gayatri Devi. Apart from the Hindu population, there is an almost equal amount of Muslim population in Telangana regions. As we know Ramzan festival is celebrated according to the Islamic Lunar calendar, possibly when the new moon sightings are visible on the sky. The Ramzan celebrations will last up to 29-30days by fasting which helps heal them according to the process. Muharram is one of the most important festivals for Islamic people and this festival is marked by processions. During the celebration of Muharram festival, Alam will be performed as a procession which represents a group of Sufi Shrines takes part by chanting Ya Hussain. There is a temple called Komuravelli Mallikarjuna Swamy located on hills in the Komuravelli village of Siddpet district in Telangana state. Along with Mallanna idle, there’s also Goddess Ganga, Golla Kethamma, Goddess Parvati and Medalamma are also worshiped on this temple. During the Komuravelli Mallanna Jathara, all the devotees offer prayers to Lord Shiva and the Oggu Pujari’s group draws a special Rangoli (Patnam) in front of Lord Mallanna Temple balcony. This Jathara is celebrated during Maha Shivaratri and also Agni Gundaalu celebrated on Sunday falling before the Ugadi festival. This festival is also celebrated by the tribal groups from Keslapur Village, Adilabad district, Telangana. It is recorded as the second biggest tribal festival celebrated by Gond tribes for almost 10 days. People from other states also join the Nagoba tribal festival such as Chhattisgarh, Maharashtra, Karnataka, Madhya Pradesh, Jharkhand and Orissa regions. This Jathara is celebrated at 630 years old temple which built in 1350AD located on Kurupathi hills in Ammapur village, Mahabubnagar. During these festival devotees from various states worships Lord Vishnu also known as (Lord Venkateshwara). Talking about the origin of Kurupathi name, “Kuru” means ‘to do’, “Matim” refers to ‘mind’ and the “Pati” means ‘Husband’. For almost 630 years Lord Shiva image had been in the case of Kurupathi Hills and Finally Sri Mukkara Chandra Reddy constructed a temple for Lord Shiva. Chittaramma Jathara temple is located Gajula Ramaaram village in Hyderabad and it is said to be one of the most popular festivals of Telangana state. This Jathara is celebrated during the Pushya Masam according to the Telugu calendar. Singaraaya Jathara is celebrated at Lakshmi Narasimha temple located near Kurella, Baswapur villages in Koheda mandal of Karimnagar district, Telangana. Almost from the various states such as Warangal, Karimnagar, Medak devotees visits this Jathara every year and the devotees take a holy dip in the Tummedu Vaagu. Mallanna Jathara is celebrated at ancient Lord Shiva temple located in Inavolu village of Vardhannapet Mandal, Telangana State. This ancient temple is built with 108 pillars and magnificent Nruthaya Mandapam by Kakatiya rulers on the 11th century. Following are the important key points from the above-stated festivals of Telangana state notes. 1.“ Komurvelli jatara” Is celebrated on which district- Warangal. 2.“Siddula gutta Jatara” is celebrated on which district- Nizamabad. 3. Sri Rama Navami festival is celebrated in which district- Khammam. 6. Ugadi festival is celebrated on which month- March/April. 7. Sri Rama Navami festival is celebrated on which month- March/April. 8. Krishnastami festival is celebrated on which month- August/September. 9. Vinayaka festival is celebrated on which month- August/September. 12. Shiva Ratri festival is celebrated on which month- February/march. 13. Vara Lakshmi vratam festival is celebrated on which days of Sravana maasam- Tuesday & Friday. 14.Which festival is related to Children’s- Boddemma festival. 15. Yedupayala jatara festival is celebrated in which place of Medak district- Nagasanipalli. 17.“Bejjanki jatara” festival is celebrated on which district- Karimnagar. 18.“Velala Jatara” is celebrated on which district- Adilabad. 19.“ Mannemkonda jatara” is celebrated on which district- Mahabubnagar. Thanks for Reading, If you found something interest in this post, like this post and feel free to comment and share this post with your friends and in social media.